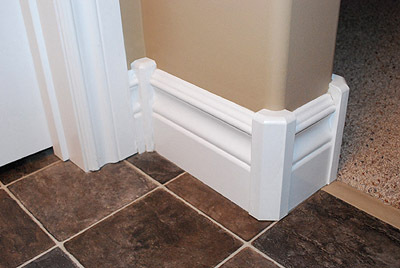 when installing baseboard that has to go around "rounded corners" what is there available to make that connection? There's a couple of ways you can do it. 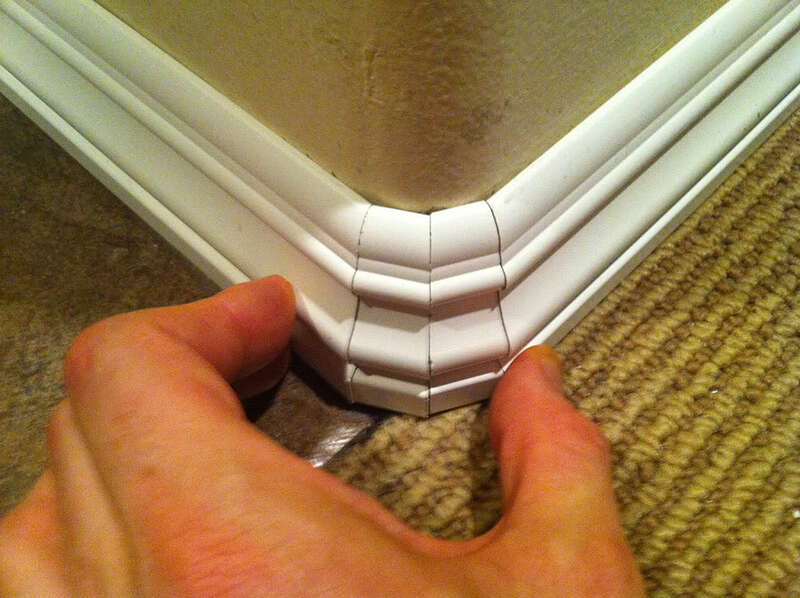 They make corner blocks and even curved sections of moulding for round drywall corners. The other option is to "segment" the corner, using smaller pieces cut at 22.5° angles. The manufactured moulding is going to be easier to use but costs more money and you may also have trouble finding a profile that matches other profiles in your home. 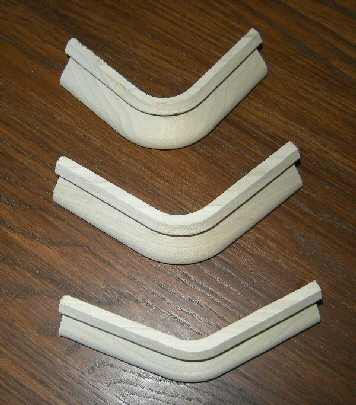 The "segment" method will worth with any moulding but takes more time and skill. I don't think that Home Depot stocks the manufactured moulding but might be able to order it for you (see the millwork desk). Otherwise, use your favorite search engine.